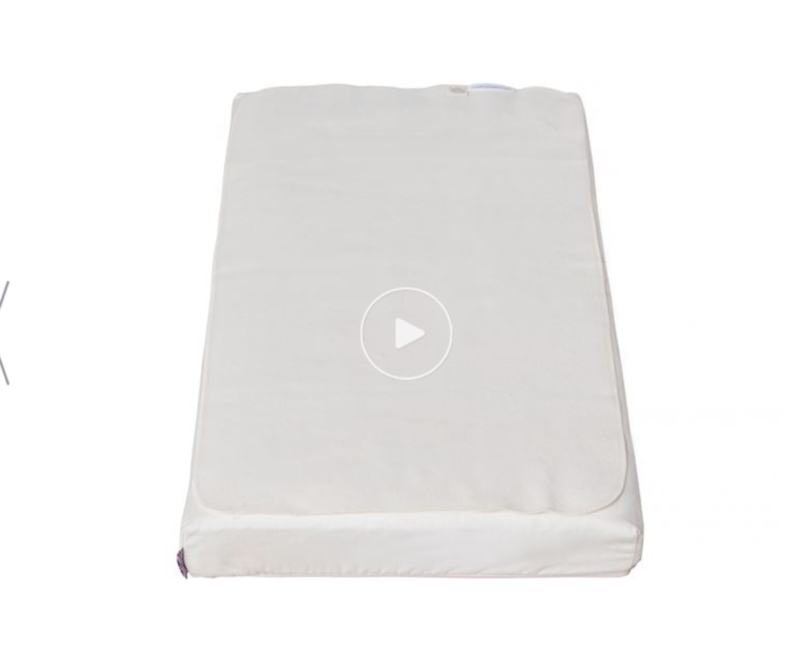 Soft, organic waterproof mattress protector to help keep baby’s mattress clean and fresh. You have just splurged on a beautiful organic mattress for your little one and within days of bringing them home they have an accident and ruin the mattress! Well luckily this doesn’t have to be the case thanks to clever waterproof mattress protectors. But what’s the point in investing in a quality natural mattress for your baby to then go and put a cheap mattress protector between the mattress and your baby. That’s where this organic waterproof mattress protector from Naturalmat comes to the rescue. 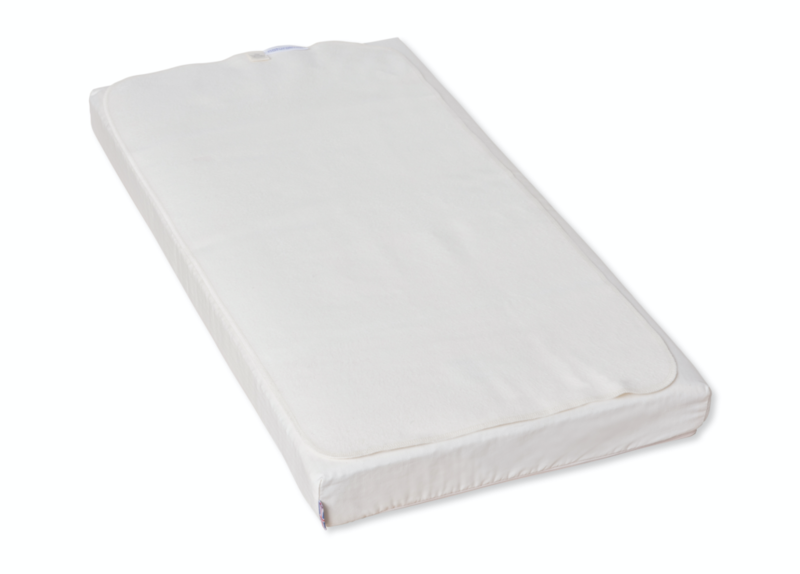 The protector is made from soft organic cotton with a waterproof membrane to stop any accidents reaching your mattress. We were so impressed with the quality, most mattress protectors we have come across are horrible stiff sheets with a scratchy underside, but not the Naturalmat one, it is lovely and soft, it’s almost hard to believe that water wouldn’t seep through. We put it to the test with one of our testers who notoriously has nightly accidents. You simply lay it on top of the mattress and it is held in place with elasticised corners, then pop your sheets on top. Inevitably our little tester had a leaky nappy and what would have usually been a big ordeal was simply a case of whipping the sheets and mattress protector off and throwing them in the wash. The mattress underneath was 100% dry and within 4 hours the mattress protector had air dried, we couldn’t believe it! Not only was it dry and ready to go back in the cot but it was just as soft as when we first put it down. Starting at just £14.95 for a crib size protector this is one purchase that you definitely will not regret. We could not recommend this highly enough!